I don’t have a count of exactly how many subpoenas Orly Taitz “served” in the case of Farrar v. Obama. I guess only the parties to the case know that. I don’t know exactly now many of them refused to come. Barack Obama didn’t show, as has been widely reported. Hawaii Department of Health Director, Loretta Fuddy didn’t show after a court in Hawaii said the Georgia subpoena was not binding. The third no-show was Maricopa County Sheriff Joe Arpaio. The Deputy County Attorney, Joseph I. Vigil, replied in a letter that the subpoena issued out of state was “not valid” under Georgia Law and further that the Sheriff’s attendance in Atlanta would “constitute an undue burden on him.” I know several others that I believe ignored a subpoena, but I don’t have the documentation to proved they weren’t there. Gee, do you think that would be an undue burden on President Obama too? Confidentiality notices are dubious in terms of how enforceable they are. If the recipient never agreed to any terms, it probably isn’t enforceable. Now going onto a website with a confidentiality statement may be enforceable, because the assumption is made that by using the website, one agrees to the terms. There are some state laws that do make certain information provided to a potential customer confidential. However, I don’t think this was terribly enforceable (like Orly’s subpoena) especially since it was sent across state lines and it was unilaterally assigned. There was a lot of talk about sheriff Arpaio. WND was promoting him and his investigation and seeking donations for him and his posse. Keep in mind: even if a sheriff comes up with a report, suggesting a need for prosecution, it is up to a District Attorney, whether to file charges and further it is up to the judge, whether to hear the case on the merits or throw it out of court on technicality. GA was a golden opportunity for Arpaio to testify, to provide his report. It gave him an opportunity to skip the step of DA or AG, who may or may not cooperate and be in front of the judge, who is willing to listen and hear the case on the merits. Arpaio blew this opportunity. I did not want to say anything before the trial, I did not want to upset people, but bottom line Arpaio simply blew it. Keep in mind, an attorney does not have to issue subpoenas. You issue subpoenas only when you are not sure the witness will appear and testify. I sent Arpaio a subpoena. I called WND and related to their political editor Bob Unruh, that I finally have one judge willing to listen. I related, that Corsi or Farah want to testify -here is an opportunity. I also sent an e-mail to this extent. I also explained that I sent a subpoena to Arpaio just as a cover for him, it would give him an opportunity to state, that he is not going after Obama because he wants to, but because he is complying with the subpoena. Below is a letter from Arpaio’s attorney, saying that Arpaio will not cooperate. He gave 2 reasons: it is too much of a “burden” on him and the hearing is in GA and he is in AZ. I could go to a circuit judge in AZ and extend the jurisdiction to AZ and seek reciprocal enforcement, however I concluded, that it will be a waste of my time and money. b. I question how serious he is about removing Obama from office. If he really was serious about it, he would have appeared and testified and he would have taken a full advantage of this rare opportunity to be in front of a judge immediately and present his story. I believe, that at some point Arpaio will come up with a report, but I question whether it would lead to anything. Similarly, I contacted a talk show host Mark Gillar. He had several investigators on his show: Mara DeBest, Tom Harrigan. I contacted all of them. I was telling Mark Gillar, that all of these investigators are totally worthless, in that, if they are not willing to appear in court and testify and put their money where their mouth is, their opinion is of no value. It is easy to be a couch warrior or a keyboard warrior. It is hard to be on the front line, take bullets, roll with the punches, take enormous abuse from right and left, risk one’s license, risk sanctions from corrupt judges, risk one’s life. Lastly, here is an explanation, why I did not need to get a subpoena enforcement in DC against Obama, but was seeking reciprocal enforcement against Fuddy. The difference is because Obama is a defendant, he availed himself to the jurisdiction of GA by placing his name on the ballot in GA and he consented to be served through his attorney, who is located in GA. So, by serving Obama through his attorney in GA, I made the subpoena against him instantaneously valid, I did not need to seek any reciprocal subpoena enforcement in DC. The judge agreemed with me on that point. At any rate, the public is entitled to know, that Arpaio refused to cooperate, even though I did not even need a subpoena for a cooperating witness, and Arpaio could be in front of a judge immediately and he could present all his evidence immediately. JPotter: Orly’s entire post is a gem: drama, brilliant rearview strategizing, full-spectrum face-saving! She really was running all over the country pimping this “golden opportunity” … and issues subpoenas as “favors”! I am very disappointed at Sheriff Joe Arpaio. Orly is dead on. She really thinks that she’d have a different result trying to serve a Georgia subpoena in Arizona as she did in Hawaii? I would suggest the would they say it? Besides that, aren’t law enforcement investigations typically protected from non-governmental subpoenas? I heard that the Maricopa County board of supervisors issued subpoenas to Sheriff Joe back in 2010, but that’s only because the law gives them subpoena power over the agencies where they have jurisdiction, including the Sheriff’s Dept. I think a grand jury also has pretty broad subpoena powers. Has Orly Taitz Committed Perjury? I am very disappointed at Sheriff Joe Arpaio.Orly is dead on. Gee, John, I thought that you had a thing for Sheriff Joe. Of course, we have been telling you all along that his “investigation” was going nowhere, but you can’t handle the truth. Orly’s entire post is a gem: drama, brilliant rearview strategizing, full-spectrum face-saving! She really was running all over the country pimping this “golden opportunity” … and issues subpoenas as “favors”! Mahalo for posting that JPotter because I never visit Orly’s. The words I found most interesting were “risk one’s license” which tells me that Orly’s aware she’s barely an attorney. Here’s hoping that Jill Nagamine in Hawaii now adds perjury as another reason to declare Taitz a vexatious litigant & get sanctions imposed. Hawaii taxpayers would appreciate that. In addition to Arpaio’s refusal of Orly’s subpoena, it appears that Brian Kemp, Georgia’s Secretary of State, ignored a legitimate subpoena served to him by attorney Mark Hatfield (represented Carl Swensson). 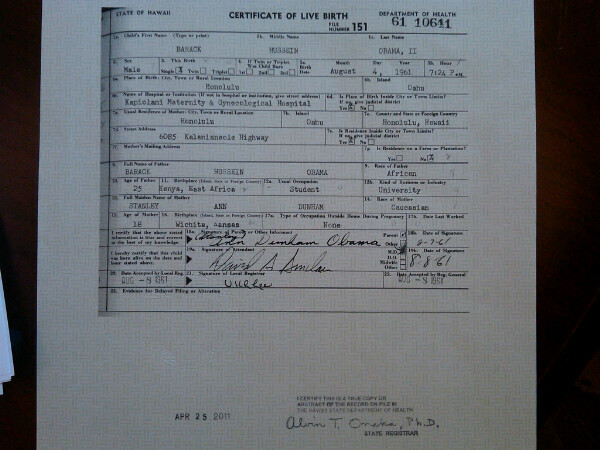 john has been around long enough to know that each birther OMG moment always becomes an Oh S___ moment. they tend to forget that, maybe birthers are afflicted with Alzheimers. Now THAT is an interesting detail… !!! In addition to Arpaio’s refusal of Orly’s subpoena, it appears thatBrian Kemp, Georgia’s Secretary of State,ignored a legitimate subpoena served to him by attorney Mark Hatfield (represented Carl Swensson). He managed to get the X in the box. I’m still wondering if Jablonski should have tried saying the subpoena was defective because Orly couldn’t managed to actually place anything in the check boxes. I was frustrated in trying to find a symbol in Microsoft word that did a clean X in a box. I still can’t get anything like what Hatfield filed (a sharp X with corner to corner lines) but I could find a couple of Wingdings symbols (#253 and #254) which represent a stylized X in a box and a stylized check in a box. I also noticed they have some rather unclear rules, after reading the subpoena by Hatfield. It says it was served by email, which apparently is acceptable for most documents. My reading is that this doesn’t meet the standard for serving a subpoena. The rules say that a subpoena must be served to all parties (and I suppose the witness) and lays out what is acceptable service. Nowhere do the rules say that serving by email is acceptable for a subpoena. I’m thinking the rule means that copies of a subpoena must be made available in a paper form (and not email as Hatfield did for Jablonski) to all parties. You know, I’m reading the OSAH administrative rules, and nowhere does it actually say that a subpoena has to be served on a witness or someone called on to produce evidence. Either that, or they use the term “parties” interchangeably when they’re talking about the plaintiffs/defense or witnesses (as “parties”). John: I am very disappointed at Sheriff Joe Arpaio. Orly is dead on. That greasy lumping thing you see eight inches in front of your eyes is the underside of the bus under which you have been thrown. He’s not the Gray, White Hope? I am very disappointed at Sheriff Joe Arpaio.Orly is dead wrong. Thanks for your feedback on this. I have no expertise is evaluating legal documents. Do lawyers regularly write out subpoenas, and then fail to delivery them legally? I know Taitz does this, but why would a legitimate lawyer? y_p_w: I also noticed they have some rather unclear rules, after reading the subpoena by Hatfield. It says it was served by email, which apparently is acceptable for most documents. My reading is that this doesn’t meet the standard for serving a subpoena. Alas, poor Sheriff Joe! hero last week, villain this week. y_p_w: I was frustrated in trying to find a symbol in Microsoft word that did a clean X in a box. I can’t speak for Georgia, but in New York you have to at least make an attempt to personally serve a subpoena. Once you have confirmed the residence or usual place of business for a witness. you have to make three tries to serve the subpoena in person before you can resort to alternate service, or what we euphemistically call “nail and mail.” After three tries you can tape the subpoena to the witness’ door and then mail another copy. I have never seen anyone attempt to serve a subpoena via e-mail. The whole point of personal service is that it guarantees that the witness has actually gotten the subpoena. I don’t know how you can do that with an e-mail. I really don’t quite know exactly what went down. An attachment to the subpoena by Hatfield to SoS Kemp says that it was served to Jablonski via email, but I would suppose it was probably properly served to Hatfield in person or by mail. The language says that most documents (like motions) must be be served to all parties, and via email is acceptable. It also allows for such service by 1st class mail with no requirement for certified or registered mail. (1) A party filing a document or other submission with the Office of State Administrative Hearings shall simultaneously serve a copy of the document or submission on each party of record. Service shall be by first class mail, fax, e-mail, or personal delivery. Service by mail shall be complete upon mailing by first class mail, with proper postage attached. (2) Service of a subpoena shall be made pursuant to Rule 19. (3) Every filing shall be accompanied either by an acknowledgment of service from the person served, by his or her authorized agent for service, or by a certificate of service stating the date, place, and manner of service, as well as the name and address of the persons served. (4) The Clerk shall maintain and, upon request, furnish to parties of record a list containing the name, address, and telephone number of each party’s attorney, or each party’s duly authorized representative. If you read the part on subpoena’s, nowhere does it say that a witness has to be served. It makes plenty of mention that the parties have to be served (part 2). I would think it’s implied, but it’s certainly not there specifically. I think someone could try and be obtuse with an ALJ and try out this line of thinking. 616-1-2-.19 Subpoenas; Notices to Produce. Amended. (1) Subpoenas may be issued which require the attendance and testimony of witnesses and the production of objects or documents at depositions or hearings provided for by these Rules. The party on whose behalf the subpoenas are issued shall be responsible for completing and serving the subpoenas sufficiently in advance of the hearing to secure the attendance of a witness or the deposed testimony of the witness at the time of the hearing. (2) Subpoenas shall be in writing and filed at least five (5) days prior to the hearing or deposition at which a witness or document is sought, shall be served upon all parties, and shall identify the witnesses whose testimony is sought or the documents or objects sought to be produced. Every subpoena shall state the title of the action. (3) Subpoenas may be obtained from the Office of State Administrative Hearings website or from the Clerk. (4) A subpoena may be served at any place within Georgia and by any sheriff, by a sheriff’s deputy, or by any other person not less than eighteen (18) years of age. 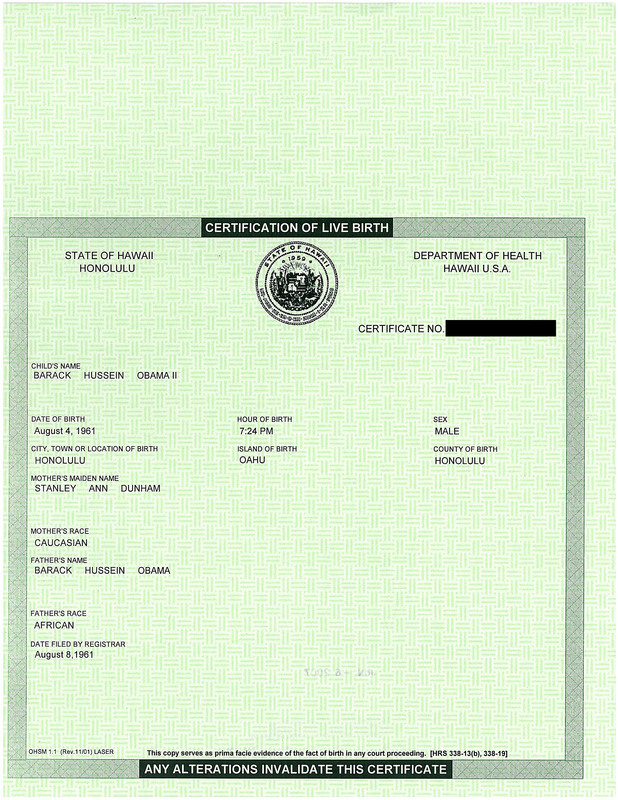 Proof of service may be shown by certificate endorsed on a copy of the subpoena. Subpoenas may also be served by registered or certified mail, and the return receipt shall constitute prima facie proof of service. Service upon a party may be made by serving the party’s counsel of record. Fees and mileage shall be paid to the recipient of a subpoena in accordance with O.C.G.A. 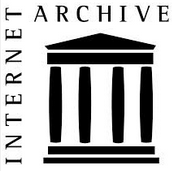 § 24-10-24. (5) Once issued, a subpoena may be quashed by the Administrative Law Judge if it appears that the subpoena is unreasonable or oppressive, or that the testimony, documents, or objects sought are irrelevant, immaterial, or cumulative and unnecessary to a party’s preparation and presentation of its position at the hearing, or that basic fairness dictates that the subpoena should not be enforced. The Administrative Law Judge may require the party issuing the subpoena to advance the reasonable cost of producing the documents or objects. (6) Once issued and served, unless otherwise conditioned or quashed, a subpoena shall remain in effect until the close of the hearing or until the witness is excused, whichever comes first. (7) A party may serve a notice to produce in order to compel production of documents or objects in the possession, custody, or control of another party in lieu of serving a subpoena under this Rule. Service may be perfected in accordance with paragraph (4), but no fees or mileage shall be allowed therefor. Paragraph (5) shall apply to such notices. (8) A notice to produce shall be in writing and shall be signed by the party or by the party’s attorney seeking production of documents or objects. The notice shall be directed to the opposing party or the opposing party’s attorney. A copy of any notice to produce shall be filed with the Clerk. Orly obviously doesn’t give up easily. NBC (not the network) is reporting that she filed another request for letters rogatory for Fuddy, but this time requesting a referral to Fulton County Superior Court. She’s got a huge misunderstanding (or is intentionally trying to game the system) of what “original” means in this context. 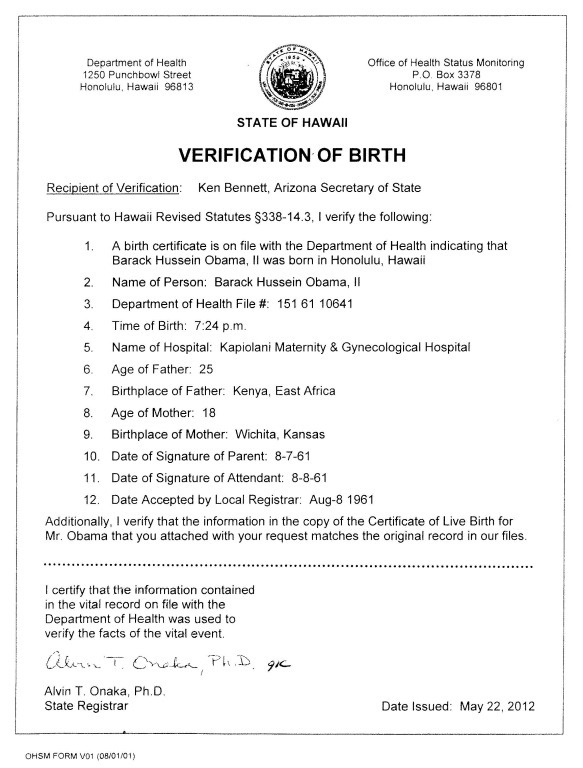 If a certified copy of a birth certificate was entered into evidence, that’s the original and not the vault copy at the governmental custodian of records. I believe that all parties would be required to get a photocopy of any document, and that they can compare that to the “original” introduced in the hearing to ensure that what they have accurately reflects what was introduced as an exhibit or evidence. In this case she received a photocopy of the PDF, so I’d think she’d have an opportunity to compare it to the “original” copy that was introduced as an exhibit by the defendant. That copy is a White House PDF, so she can very well go there and check it out herself. She (and the rest of the free world) have access to the “original” in this case. Or at the very least perhaps Jablonski has a basic copy that was used to generate the copies sent to the other parties. And – still Georgia’s rules of evidence only allow for letters rogatory and commission to apply to depositions taken in foreign countries. Not to produce documents and not to compel attendance in Georgia. Orly never learns. She is the very defintion of vexatious litigant. y_p_w: Orly obviously doesn’t give up easily. NBC (not the network) is reporting that she filed another request for letters rogatory for Fuddy, but this time requesting a referral to Fulton County Superior Court. Are you sure it’s a bus and not Jerome Corsi?? Patrick McKinnion: Are you sure it’s a bus and not Jerome Corsi?? Ewww! In that case I don’t want to know what the greasy lumping thing was. Think I’ll go throw up now. Patrick McKinnion: That greasy lumping thing you see eight inches in front of your eyes is the underside of the bus under which you have been thrown. Orly never learns.She is the very defintion of vexatious litigant. Are there sanctions taken against “attorneys” who continually file motions that include citations taken way out of context? I remember her first petition for letters rogatory to Judge Malihi grabbed a section of the Georgia Code that specifically only applied to getting assistance for a deposition in a foreign country, and tried to apply it to get an order to compel attendance and to produce evidence of a witness/evidence that was in Hawaii. I guess she’s doing the same thing, but in the latest version she’s arguing that she’s got the right to see the “original”. If a guy brings in a driver license into a deposition to indicate residency, he should be able to put it back into his wallet so he can legally drive home. The rules allow for a copy of that driver license to be entered as an exhibit as long as all parties can examine the “original” and stipulate that they’re not pulling a fast one by admitting a copy of someone else’s driver license. 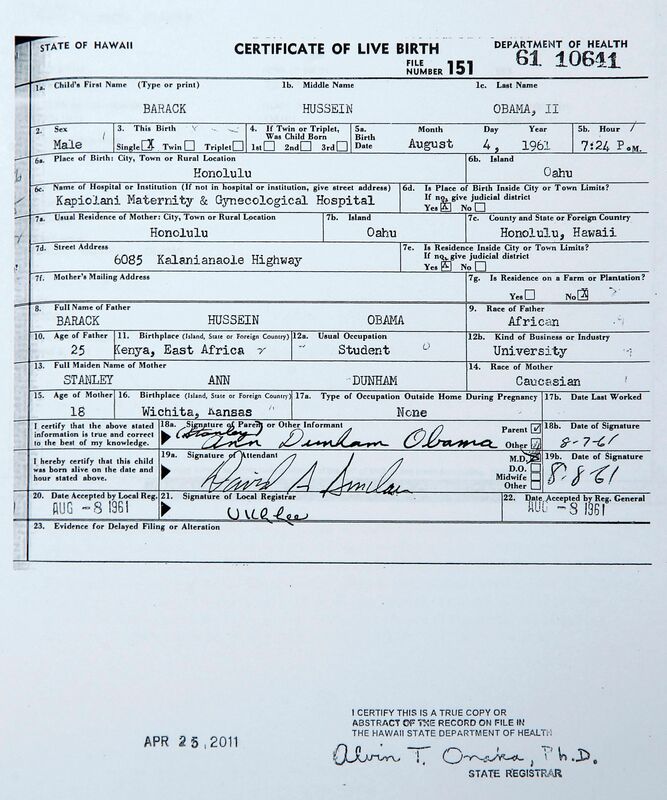 During the hearing, they introduced some copies obtained under FOIA, such as Ann Dunham’s passport applications. I doubt this means that another party has the right to force the State Dept to cough up the original applications in their files to make sure they’re accurate. I have to say, i was quite amused when I saw her post on this. She filed a motion for leave to file with the Superior Court, to which the ALJ’s chambers responded with pretty much, “do whatever the hell you want, we don’t care,” and she’s all excited like she won the lottery. Orly wins the lottery everyday! She’s trying to spam people, and is shocked that she’s tripped a “suspicious activity” trigger? Blaming the world for her own misuse. Everything’s a conspiracy. Orly’s always a victim. Of course it is possible that someone tried to hack her account (or has hacked her account…), she’s made herself quite a target. Doesn’t Corsi get boys to tie on the bus bumpers with rags?